Hello! Hope this finds you doing well and enjoying a festive start to the Christmas season. My hiatus from blogging was not planned, but it has been a great year full of travel and fun with family and friends. I’m so excited for the Christmas season and will try to share a recipe a day for this month. After all, it is the sweetest time of the year! 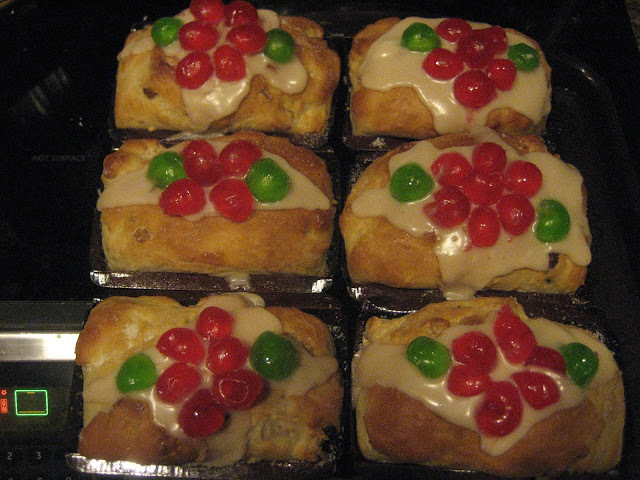 My great grandmother used to make this Christmas sweet bread recipe every year. She made around 75 loaves a year for her friends, neighbors, sick people in her parish, and family. 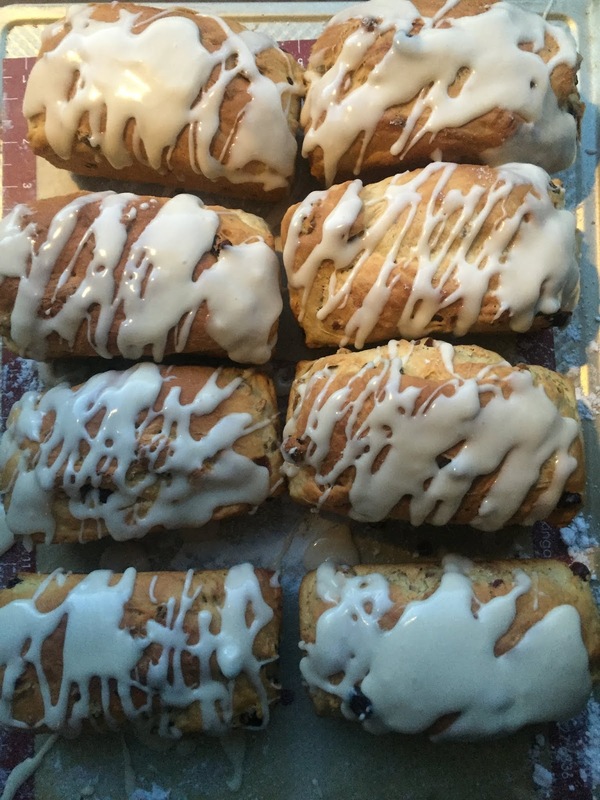 My grandmother would make the bread at Christmas time, and I started making it for my friends in Denver. It’s a white bread that has a hint of sweetness and is studded with nuts and dried fruit. You could certainly leave the nuts and fruit out. It makes a great French toast, and I’ve made Ina Garfen’s bread pudding recipe with it. I hope you enjoy it and give it a try! Crumble yeast, or sprinkle, add 2 tablespoons of sugar and stir until liquefied in 1/4 cup warm water. Add cooled milk and about 2 cups flour (240 grams). Mix well and let stand until light and bubbly, about 1/2 hour in a warm spot, covered. In a large bowl or in the bowl of a stand mixer, cream butter; add sugar and beat until light. Beat in eggs and salt. Add this to sponge mixture. Fruit may be added to sponge mixture. Turn out on a lightly floured board and knead until satiny. Place in a greased bowl, cover and let rise until doubled, about 2 hours. Punch down and form into shapes desired. Let rise again for an hour. Bake at 350 degrees about 40 minutes or until browned nicely. 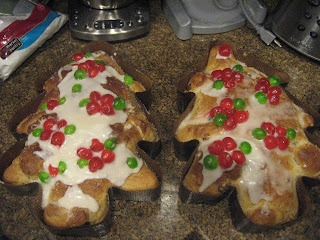 I frost the loaves while warm with a white frosting and decorate them with candied fruit to look like poinsettias.